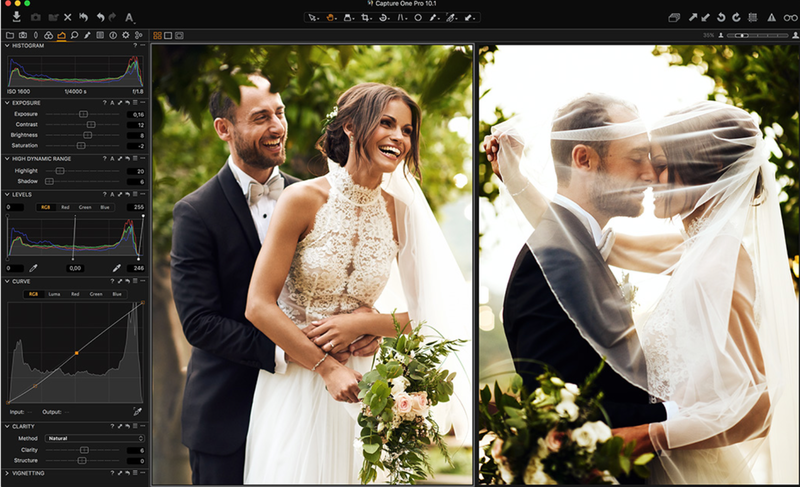 Phase One today updated their photo management and editing application, Capture One Pro, adding a number of new features, improved support for new cameras and enhanced image styling tools. Fujifilm users will have better conversions of their X-Trans files, with a redesigned RAW process providing access to some tools that weren’t available for the unique Fuji sensor. The Styles workflow has been updated, allowing faster, easier application of custom styles and a new reset function makes it easier to quickly undo changes to evaluate images before and after changes have been applied. Watermarking can now use a “token”, the same way that file naming and folder creation supports, so that watermarks can be dynamically created based on the name of the file. Capture One Pro has added support for 13 new cameras, and dozens of new lenses. For a complete list of the new functions in Capture One Pro 10.1, see the press release below. Read our Capture One Pro 10.0 article on Digital Photo Pro. COPENHAGEN, May 4, 2017 – Phase One today released Capture One Pro 10.1 — adding many new key features, while improving existing ones, to make the Capture One workflow even more satisfying for photographers everywhere. A continual dialogue with customers is helping to drive these developments. For top pros and for up-and-coming photographers, Phase One is dedicated to serving all those who seek new ways to reach their most challenging and creative goals. • Apple Script Enhancements enable Mac users to automate tasks more effectively. Capture One 10.1 is dedicated to improving the Capture One Pro experience. o Deleting images has been revised and appended with a new function to give more control over the culling process. o As in previous versions, in an album, ‘delete’ removes the selected variant from the collection. o Move to Catalog Trash (new feature) – Deletes from the collection, and sends the linked image to the Catalog/Session trash. This is especially useful for cleaning up albums in catalogs and at the same time removing the source file. o As in previous versions, Delete from Disk removes the asset from the application and deletes the source image permanently from disk (after accepting the confirmation box). o Fuji Camera users sporting X-trans type sensors can now leverage the Capture One suite of tools: the LCC, Chromatic Aberration Analysis and Purple Fringing suppression tools can now all be used in the workflow. o X-trans files are now also supported via OpenCL. • Master temporary reset — Hold the alt key and click the master reset icon to see a quick before/after of the adjusted RAW file. • The Styles UI is redesigned, allowing easier preview of large style collections and nested style collections without obscuring the main viewer with the menu. o The popular token technology comes to the Watermarking tool. Create a watermark with dynamically named content (e.g., file name) in a matter of clicks. Text and tokens can be mixed (as with other tools). The feature is also available in the Print watermark dialog. o The quality of the Watermark text is improved, (this is especially noticeable in small file outputs). o The orientation of the color-wheels can be changed to the industry standard “Vectorscope” layout favored by video grading applications. • OpenCL UX improvements have been made to the initialization process, with better messaging and status/result/troubleshooting tips in the preferences. Capture One Pro is also available by subscription. A single-user subscription is available for 20 USD/EUR per month or as a prepaid annual plan for 180 USD/EUR. Please see all subscription and upgrade options at www.phaseone.com/store.